Engineering is one of the pillars of PNNL research, and celebrated annually with the Exceptional Engineering Achievement Award. John Vienna was chosen for the 2016 award for his technical leadership and expertise as a glass scientist in the field of nuclear waste glass formulation and vitrification process technology. Throughout 2016, Vienna applied his glass formulation expertise toward developing a set of glass property models and constraints used in the Hanford Site River Protection Project. The initial results led to a new model for completing the project more efficiently by decoupling the operations of major River Protection Project facilities—a concept called direct-feed high-level waste (DFHLW). The DFHLW concept also was selected as the winner of the Office of River Protection Grand Challenge, a competition designed to encourage new ideas that would serve the U.S. Department of Energy’s Office of Environmental Management. Vienna joined PNNL in 1992 after working as a research associate at Argonne National Laboratory. Vienna currently serves as a Chief Scientist in the Materials Science Team of PNNL’s Nuclear Sciences Division. 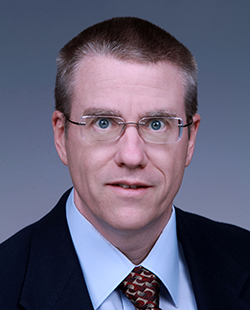 With more than 25 years of experience and a Ph.D. in Materials Science from Washington State University, Vienna has served as the national technical advisor to DOE’s Offices of Environmental Management and Nuclear Energy on waste form and immobilization science. Vienna’s research has led to more than 270 technical publications (including 34 journal articles, six books and book chapters, 100 proceedings articles, and 130 technical reports). In addition to his work at PNNL, Vienna is an adjunct faculty member in the Chemistry Department at Washington State University, where he’s taught graduate courses in nuclear waste glass chemistry since 1999.